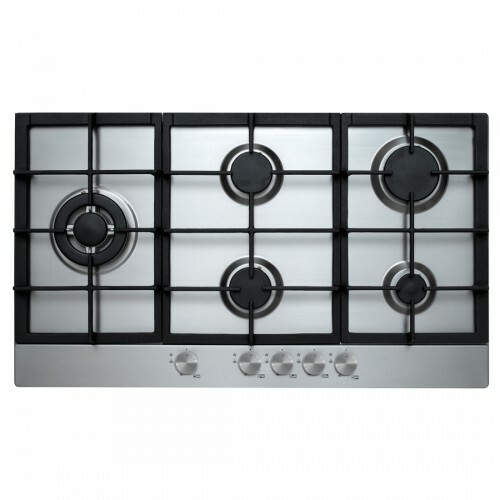 A fully featured 90cm 5 burner gas cooktop. The triple ring WOK burner gives a more intense heat as it provides three rings of heat and will have your stir fry done in no time or slow cook a casserole on the rear burners. 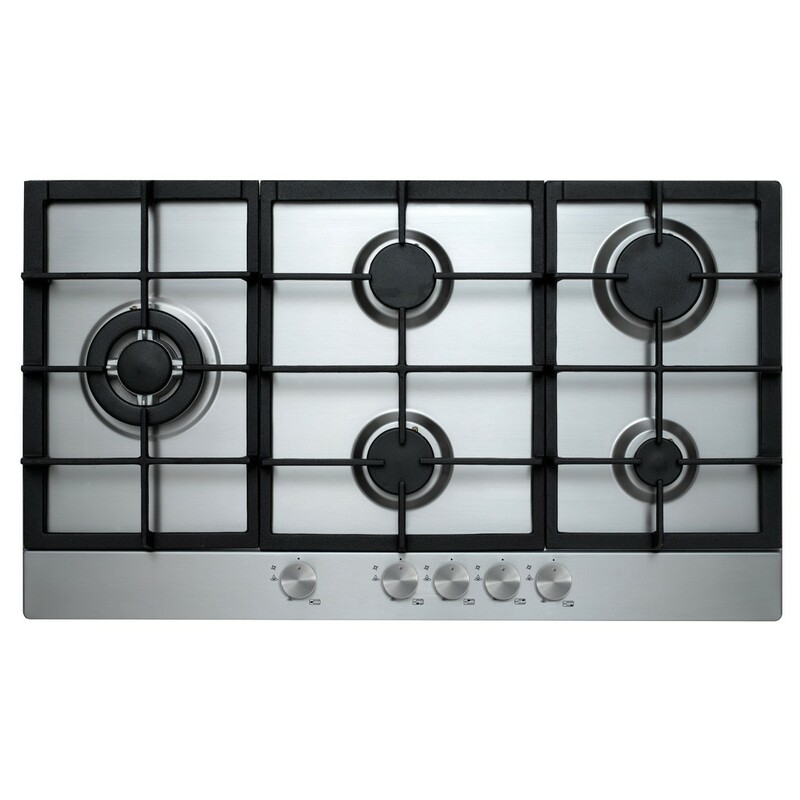 The 5 burners are constructed with sturdy and stable heavy duty cast iron trivets and a stainless steel one piece hob which makes for simple and easy cleaning. Each burner is fitted with a Flame Failure Safety device which ensures that if the flame is accidentally extinguished the gas supply will automatically turn off. This cooktop has side control knobs for easy access and ignition.